I have now worked with young people and adults in a guidance role for eight years – a field in which I built experience whilst studying. After completing my masters I continued to work with young people as a Guidance Officer for a college in Devon and undertook my Level 6 Diploma in Careers Guidance and Development. I then moved on to lead the Progression and Employability Team at Exeter College, which was an amazing experience. After further training in motivational interviewing, I progressed on to become a Careers Adviser for the University of Plymouth. In this time I have gained professional registration with the Careers Development Institute and become a member of the NICEC. I absolutely love helping people meet their potential. Studying English gives you an incredible insight into socio-political issues and historical events that shape much of our culture today, and this has shaped my insight into people and our society. It may not be thought of as a research role, but being a careers professional means researching careers guidance theory, understanding employment statistics, reading and writing reports, and lots of networking. People also rely on you to talk clearly and be insightful and helpful – yes, it is about jobs, but it is more about helping people make and understand important decisions about their livelihood. I was always interested in working with young people and being a university student gave me access to work experience I would never have gained easily without my degree study. In all my roles I have been involved in projects that help and support others; although this began in Arts education and outreach, the core ideals of my career path have not changed. Knowing when to move on, and when to stay on: I have been lucky that fantastic opportunities have come around when I least expected it. That has meant making the decision to move on from a role I have loved and in to a new opportunity, without knowing if it would be the best thing. Luckily, so far these choices have been right for me. I absolutely love attending careers networking events and conferences in London or other cities. It means that I get to network and talk to other careers professionals whilst learning about career fields and opportunities for students. When I worked in the Arts, meeting artists and guest speakers before their events was really exciting too: particularly working on the British Art Show in 2011. I could have diversified my work experience by volunteering more at university. I was very much focused on gaining experience working within outreach and young people and I may have missed out on other opportunities. Gain experience in roles helping others; for example teaching, counselling, support roles, community work, and outreach work. My field attracts professionals from all areas. If you decide to go out into industry first, working in recruitment or HR is also a good training ground for understanding patterns of employment and what employers look for in applicants. The main skill you need, aside from professional knowledge, is the ability to adapt to different environments easily and put your clients’ needs at the heart of everything you do. 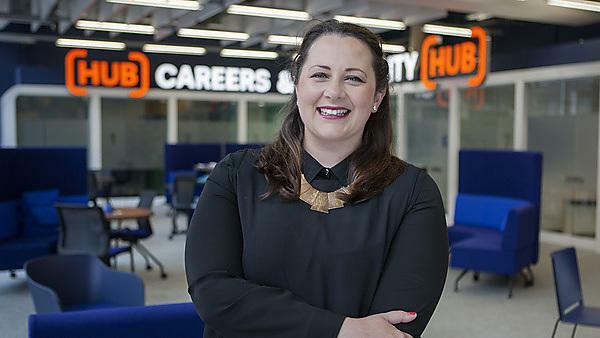 Studying at Plymouth provided me with opportunities to gain work experience and relevant paid employment, whilst also giving me access to people I would never have met without studying for a degree. It gave me a life-long love for study and self-improvement and social mobility. I was the first in my family to attend university. Studying a degree gave me the skills, knowledge, and expertise to conduct research and analysis on a daily basis. My masters’ qualification has also undoubtedly helped me to gain respect when working with teachers and academics, and it has certainly given me the confidence to undertake large projects. I will also complete a PhD in the future and that would not have crossed my mind without my degree. As a Careers Adviser, I would definitely recommend completing a placement, if you can. During my study, I completed the Student Associate Scheme, which included two months in a secondary school placement. I also completed the Plymouth Award, Mentoring, and Student Ambassador training. The latter gave me my first training on safeguarding young people and vulnerable adults – this made me more employable than any other training I had during this time, and I still re-train every one to two years whilst working with people. It is invaluable. Gaining an understanding of capitalism, consumerism, and discovering Darwin’s On the Origin of Species – I now understand society better than before. I also loved the privilege and freedom of being able to study at university and, particularly, literature. Yes. I made life-long friends at university and work with some of Plymouth’s alumni. A few of the teaching staff have been instrumental in my decision-making processes since graduation and I value their mentoring when needed, even now. Yes, I absolutely would. Taking your study to postgraduate level is particularly valuable and I personally found the university a fantastic place to study: there is a good atmosphere, great people, and the modules on the degree suited my interests. That’s really important when choosing a university course. If you want to do something, do it! Don’t think it is impossible or something that only happens to other people: get inspired, get organised, and get on with it! Going to university is a privilege: make the most of it! And make good use of the Careers & Employability Service.